According to SAMSUNG report the SAMSUNG GALAXY S5 with coming with Dust and Water resistant, and also it comes in METAL BODY. This makes SAMSUNG in line with its competitors. Materials are use in it like Magnesium and aluminium. SAMSUNG is the only one of the top five Smartphone makers who uses the Plastic in its high-end models. 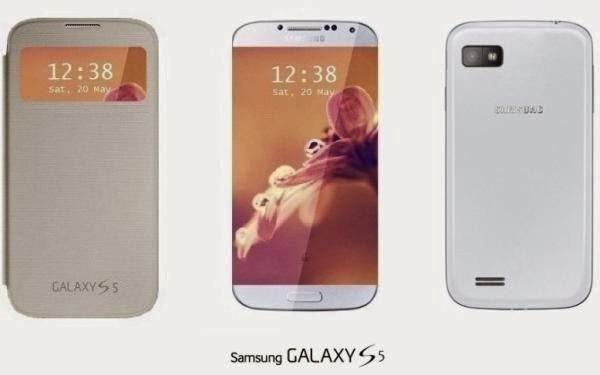 SAMSUNG Galaxy S5 coming with A 64-BIT PROCESSOR, this processor first used by APPLE in I phone S5. So now SAMSUNG decided to use this processor in upcoming Galaxy S5. New feature added in Galaxy S5 that is SUPER-SENSITIVE CAMERA. Super-Sensitive camera has 13 MP that is same in megapixel count with the S4’s camera. Features of Super-Sensitive camera far superior anti-shake image stabilization. 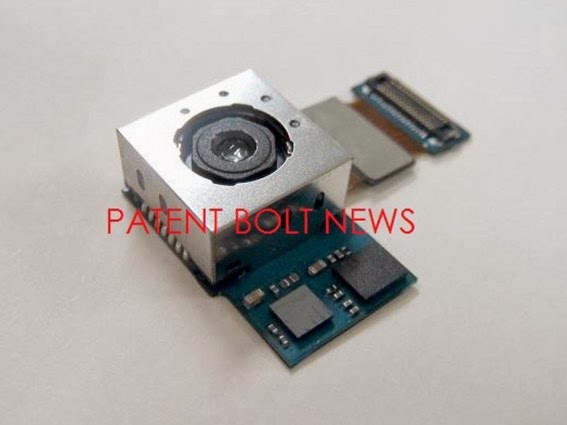 In fact, this camera can supports anti-shake correction of up to 1.5 degrees, while existing image stabilization for other Smartphone’s is 0.7 degrees top. It’s sensor is more effective in low light than Samsung’s current 13 MP camera and the outputting image of Super-Sensitive Camera gives is 8th time higher brightness form other Smartphone’s. Galaxy S5 also used for fingertips scanning. Samsung decided to launch the Galaxy 10.1 tablet in India. The tablet available in India @ 49,900 Rs. Its debut at IFA event (held in Germany) in September. 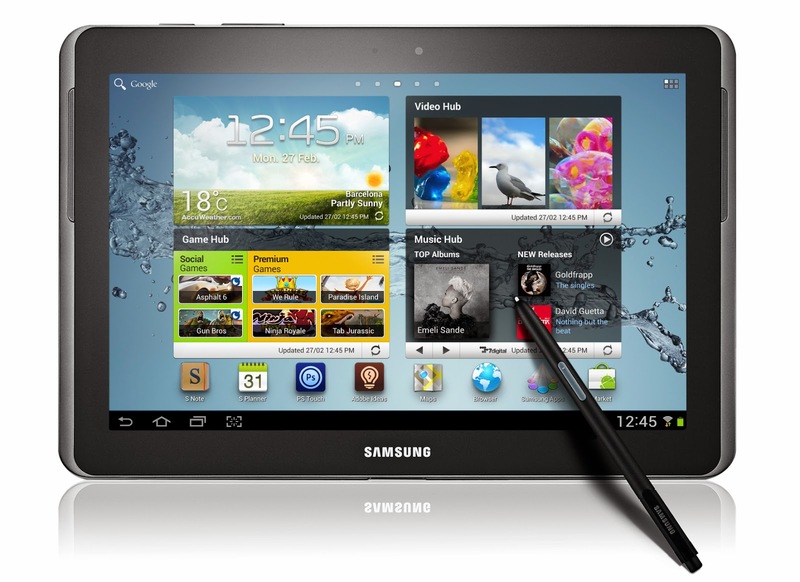 Samsung Galaxy Note 10.1 has features like 10.1-inch 2560x1600p Super Clear LCD display. Samsung Galaxy Note 10.1 runs on 1.9 GHz Exynos 5 Octa processor and has 3GB of RAM and 32GB of storage. Samsung Galaxy Note 10.1 3G-enabled tablet run on Android 4.3. 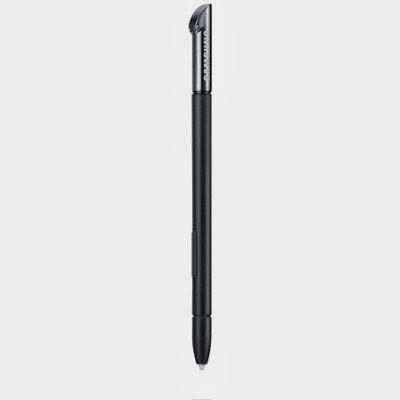 Samsung Galaxy Note 10.1 also have S-Pen stylus. Samsung Galaxy Note 10.1 screen size enables to do multitasking. With Multi Window, customer will be able to run separate item of the same application and use S Pen to drag and drop content one window to another. Galaxy Note 10.1 comes with upgraded privacy and security protection provided by Samsung Knox. The Samsung Knox provides the mobile solution for work and play. It notify security which are needed for mobile phone without crash the mobile privacy. Mobile users can choose to store Company app and data corporate email, contacts and calendar and allow IT department to manage the container through Exchange ActiveSync Server. If you compare the way you use your computer today with how you used it, let’s say 10 years ago, you will probably notice a big difference, even if you essentially still do the same tasks with it. Applications replace Software and Add-Ons replace Stand Alone Programs. It’s obvious, we are doing a majority of our work in our browser. Even designers can utilize free photoshop alternatives which are completely web based, without ever leaving their beloved browser. Extensions and Add-Ons enhance this experience also, by turning your web browser into a real hub. Mozilla Firefox is one of the browsers which can offer you very powerful assets of tools, if it’s used right. BlackBerry has a pleasant surprise for Android users: a partnership with Samsung will bring better Android security by coupling its BlackBerry Enterprise Server (BES) 12 mobility management platform with Samsung's business-centered Knox security system. In a move that raised eyebrows, BlackBerry CEO John Chen announced at the company's enterprise event in San Francisco on Nov. 13 that it is working with Samsung, the very company that brought the Canadian smartphone maker to its knees, to deliver more secure mobility solutions for enterprises running on Android. The partnership will provide Samsung's business clients using its Knox suite of secure work applications with an additional layer of security by having Knox run on BlackBerry's BES12 server. Taylor Swift plans "to outdo the Rolling Stones" when she plays London's Hyde Park next summer. Ellie Goulding and John Newman have been announced as the support acts for the one-off gig on June 27. The Hyde Park show is the final date on Swift's UK tour. An impeccably placed source said: "Taylor wants this gig to go down in history. Her plans for the production are huge too. She wants to outdo people like the Rolling Stones and the Libertines who have played the gig in the last couple of years. "She's taken note that everyone wants to see what's next." The Stones played Hyde Park last year as part of the same 'British Summer Time' series. Their stage set included the recreation of a woodland, with giant screens surrounded by 70ft high replica oak trees.